Lots to discover in the new forum! 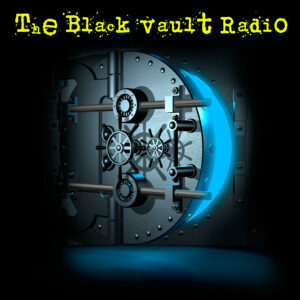 There is lots to discover on The Black Vault Message Forums! Welcome back, and I am sorry for the delay in getting this back up and running. Things are still being configured... but I am looking for feedback, comments and suggestions. Once the new system is in place will the color still be like the old board or this color grey? Trying to see if my post is accepted with only the math question. Check out the bottom. You actually have your choice in color scheme. Right now, it is set to "Chrome" -- however, you can change it to any other option that you would like. That really helped increasing the font size and set mine on midnight. See what happens when you are old and blind. Good, I am glad you like those features. There are some very cool ones on this forum! I am frustrated that it is a bit slow right now, but that will be worked out soon. So, I apologize to everyone. Running sites this large is not an easy thing! Websites have an average of a few pages a piece, and sometimes, maybe 20-50 if they are big. 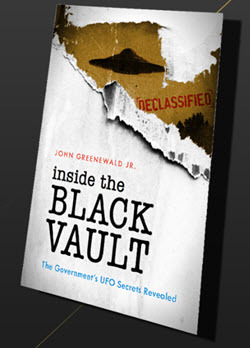 The Black Vault, has literally tens of thousands of files, that power the delivery of 1.4 million pages of declassified documents, 100,000+ posts in the message forums, 1,000+ case files (currently being migrated and redesigned, etc.) It's a tough job, since I am the only one that does it! I say the above, because, I am shocked that many that come here think this is some kind of company, or corporation, or team of people that run it. I am actually flattered by that assumption, but it isn't true! As my dad, greeney2 can attest to, it's just me -- and when I don't know how to do something, I get VERY frustrated. I want to be able to conquer anything, but for the first time in 18+ years, I had to hire someone to help me with the conversion of the old message forum, and also, for speeding this server up and finding out why it's server load is so incredibly high. Like I said, I hope that is done soon, and fixed so we can move on. I have many more plans I can't wait to implement! Yes over the years of the site growing, its size has always presented new challenges and the expense of that service. This is one reason there have been several changes of the board over the years. I just noticed something maybe related to the spam that is placed by some kind of automated tricks that are beyond me. On the Ferguson thread there have been many new poster entries that were racist cartoons. Last week they had only 1 count on their counter, right now they say new member, post count is 0. All others the post count is normal, so wonder if this new system knows they may have been programmed like the UK kitchen spams? Racist spamming into key subjects??? Maybe I'm wrong. Can you give a link and a name as an example so I can investigate? In the background, there are quite a few new things that run to ensure spammers are blocked before they ever come here. So far, so good, but of course I do not want to jinx it. I just want to get the speed thing fixed first! But, I am interested in more specific examples so I can see what you mean. I don't know if anyone else has encountered this logging in..might just be me, but I followed the link to the new forum here in the email I was sent, which took me to http://www.theblackvault.com/c.....mmunity. I entered my details as they appeared in the email I was sent and I was redirected to another login screen at something like http://www.thebalckvault.com/c.....-something..sorry..can't remember the url exactly..where I had to enter my login details again..after which I was returned to the forum here. I know things are kind of up in the air a little at the moment, but I thought it worth mentioning in case it's some kind of glitch with the system that needs to be addressed, as it seems a bit redundant to have to log in twice in order to get in here. There is a math question on the first login screen which may have been missed? If it's wrong or skipped it will give an error and take you to the second screen. Try it again and watch for the math on the top above and to the left of the login name box. note all the older posters post count and all the 0 count on the new posters with political cartoons. last week they all said 1, I had commented about the rash of them and all being New members.